The online gambling industry, which has been expanding at a dizzying rate over the past few years, has been spearheading the development of mobile games and related technology. The industry has always been at the forefront of identifying new technologies to use, and this is one of the primary reasons for its impressive growth even in times of economic slumps. Of late, online gambling operators have been pouring money into developing mobile gaming sites that offer as good an experience as is currently possible. It is quite interesting to go deeper into this subject since the global gambling industry is itself worth around $108 billion this year, with mobile gaming expected to make up approximately 42% of it. In fact, there are estimated to be 2.2 million people from different parts of the world playing at online gambling sites every year, with the number set to grow steadily. Online gaming operators, never shy of exploring new ways to expand the market, have been putting a lot of time and money into the mobile aspect of their enterprise. It goes without saying that there are quite a few reasons for this. It is becoming increasingly apparent that people are opting to use their mobile devices instead of desktops and laptops for internet access. People have become so dependent on their smartphones and tablets that they reach for these devices whenever they want to buy or learn something or even get entertainment on the internet. Interestingly, it’s not just the young people who find their mobile devices indispensable. However, they do make up a sizeable section of users. This enables customers to gamble without any restrictions on where they are located. 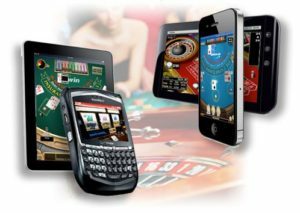 Therefore, online casinos need to be accessible via handheld devices in order to appeal to a large section of the population. Mobile phone technology is developing very fast. The latest phones are nothing like the ones that were used around a decade ago. They have very wide screens and immense computing capability. They also come with enhanced memory that enables them to play high-quality audio and video content. It is now possible to buy high-quality mobile phones and tablets at very reasonable prices. What’s more, gaming software developers have reworked many titles to make them mobile friendly. These games load quickly on most phones and they also can be played smoothly. Internet coverage is also expanding to cover many places that did not have it before. Furthermore, the cost of going online has dropped tremendously. Usually mobile users have a marked preference for apps instead of mobile sites. Hence, many casinos are launching gaming apps for their customers to download. The apps tend to have fewer games than the gaming sites at the moment. But they provide a quicker and easier gaming experience. The younger generation of online gamers prefer games that allow them to interact with friends and others. Casino operators feature a number of free games that can be played singly or in a group. Here people have the opportunity to compete against others and compare scores with them. Eventually, many players transition to playing casino games once they realise how much fun they can have at these sites. 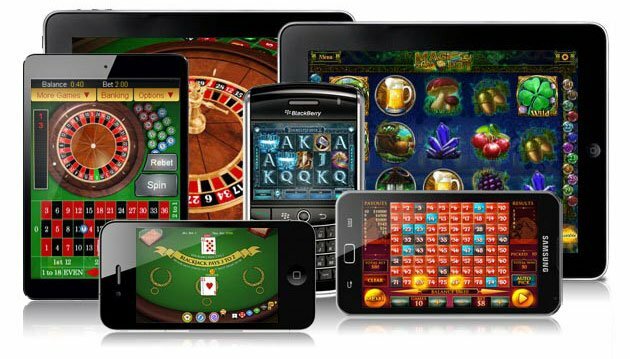 It is evident that mobile gaming will have a very important role to play in expanding the online gaming industry. Operators who have made an early investment in mobile apps and related products will have a head start. The others will eventually have to scramble to catch up.